GLITCH? 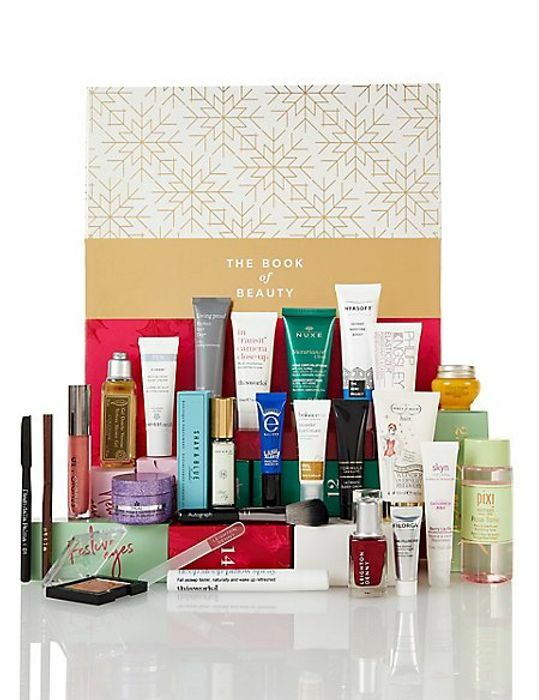 M&S Beauty Advent Calendar (Worth £280) + Buy 2 Get 1 Free! So the offer on M&S is to spend £35 to get their Beauty Advent Calendar for £30, but it seems that it works on their Buy 2 Get 1 Free Offer too!! See example below. Add 3 items from their Home, Beauty, Kids range and then add the Beauty Advent Calendar and it goes thru fine at checkout! So technically paying only £25 + £35 in all for £280 of goodies! What a brilliant deal. Thanks for sharing! This is great! Love advent calendars which give you a daily boost! Thank you for sharing this deal. I will definitely look into this. What an amazing deal! Thank you so much for sharing this! Vanity insanity if you ask me .... who spends £280 on this !!! It works! Remember to type in the promotion code. Definitely go through a cashback site to get the cost of postage back! What is the promotion code please? why would anyone spend this kind of money on a calcendar ? l‘m sure you know they’re after the contents. I won’t be buying one this year - I’ve still not used the last lipstick and nail varnish from last years calendar. This can actually be broken down into stocking fillers and give out as gifts in cute little boxes. Thank you for sharing! Now that's one fine glitch. Huge savings if you were already planning on getting something from the available products.